Breastfeeding monitoring device for the new mother. Every mother has her own breastfeeding journey. Understand your breastfeeding, from the first days. Through your own human milk scan. personal DATA driven decision support for breastfeeding mothers. Track your breastfeeding establishment and milk production (MMI – Milk maturation index), at the very beginning, in real time. Recognize sub-optimal establishment and cases of low milk supply- Early, Before complications arise. For better breastfeeding. Because timing is everything. Understand how your daily breastfeeding care affect your dynamics, with features of your milk maturation index, breastfeeding insights, behavioral scoring, and more. Take control over your breastfeeding. Track your breastfeeding routine, receive personal insights to optimize breastfeeding establishment, manage symptoms, discover care actions, set your breastfeeding goals, adhere to daily breastfeeding care tasks, and receive in-time professional support. Understand how your health record, symptom tracker, and baby behavior affect your breastfeeding, reveal risk factors. So you can make informed decisions and adopt health- and breastfeeding- promoting habits. Understand your breast pain origin with features as symptom manager and pain score and share info and insights with lactation support giver. Know your milk. Understand your breastfeeding. Get insights. Take control over your breastfeeding. Scan your milk, track your breastfeeding, and get personal insights about your breastfeeding establishment, milk supply, latch, breast pain and more. Based on your own tiny human milk sample. MyMilkScan is the only device to use individual breastmilk fluid properties to detect mom’s own milk production process. Breastfeeding is a complex process, and its time you receive feedback, understand and control your own dynamics. MyMilkScan is the only technology that track milk onset and breast maturation dynamic from the first days after birth, even before notable milk supply. Early tracking of your own milk establishment dynamics for in time intervention, giving you a chance to impact the future of breastfeeding. 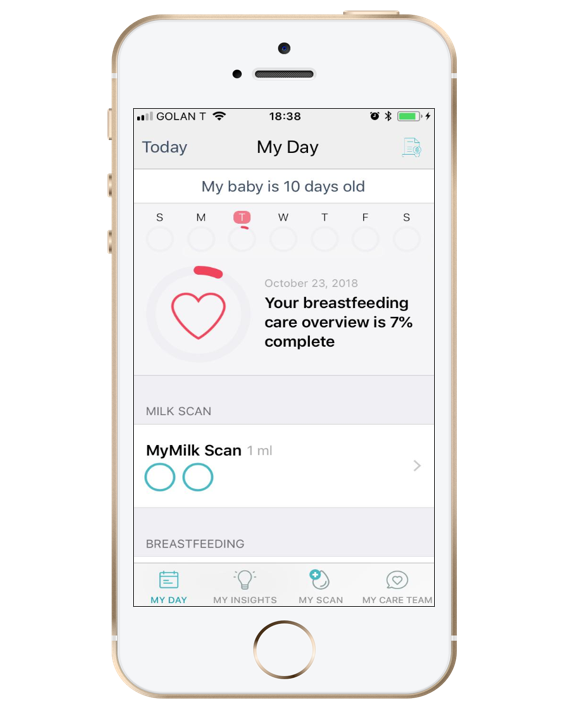 MyMIlkScan was developed by professionals, validated by clinical human milk laboratory, tested by lactation consultants in hospitals and clinics, and based on scientific work. DATA driven decision support for mothers. Scan your breast milk every day and reveal your own breastfeeding dynamics. Get immediate feedback on your milk establishment and production, track progress, get feedback. Test your milk dynamic every few hours in the first days after birth, and continue daily milk screening for prolong breast and breastfeeding care. Follow daily breastfeeding care tasks and symptoms manager. Log daily core values, and manage yours and your baby symptoms- your Milk parameters, Your breast appearance, latch activity, breast pain symptoms, baby care, your OB/GYN records and more. Set goals, track progress and get more complete picture of your breastfeeding care- all in MyMilk app. Analyze your breast milk and breastfeeding data, track the essentials, and get personal feedback – alerts, trends, and tips. On your breastfeeding status milk supply, latch, pain, baby and more. Identify early signs, reveal risk factors, manage symptoms. Connect. SHARE YOUR DATA WITH LACTATION CONSULTANT. Share your data with your care team, lactation consultant or healthcare practitioner, and get evidence based breastfeeding guide and care – based on your breastfeeding records, your milk biodata, and mymilk system insights and alarms. Get contact with mom pear support, matched specifically to your needs based on mom lactation journey experience. Patent pending technology. Scientifically proven. 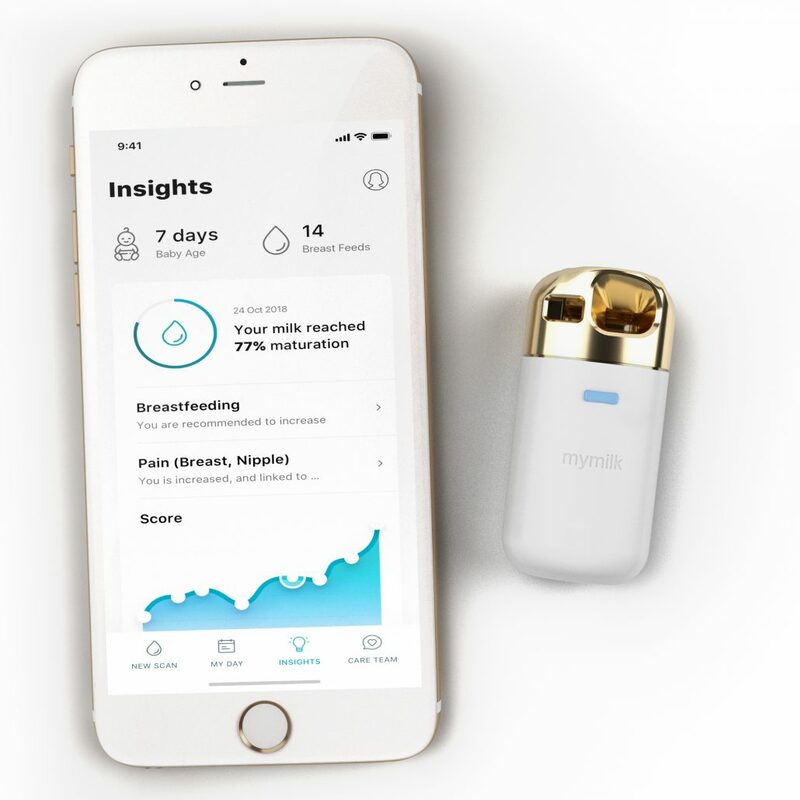 MyMilkScan device is sensing the properties of a tiny human milk sample, and this bio-data, together with other maternal-infant information, is processed by MyMilk algorithm for computing your milk maturation status and generating personal insights and alarms. Connected mobile app for viewing results, breastfeeding adherence and care. Bridging the gap in infant care. The first days after delivery are crucial for current and prolong milk supply. Early monitoring is key. MyMIlk bring you Breastfeeding care dashboard for better decision support. Manage patient alarms, and breastfeeding care records. MyMilk scan and insights are not intended to diagnose or treat any clinical condition, or to substitute for a healthcare provider’s consultation. These reports are not intended to tell you anything about your or your baby’s current state of health, or to be used to make medical decisions, including whether or not you should take a medical treatment or how much of a medication you should take. Our insight can help you monitor and manage your breastfeeding care and to identify early cases of potential low milk supply, and provide suggestions for improving the breastfeeding mom’s care. It is advised to consult with a lactation consultant or a medical health provider about your reports. Herbal supplements or medication should not be taken without consulting with a physician.